After 15 years in prison, Dee is embracing the open road as an articulated lorry driver, with a little help from PET. 'Lee', a life-sentenced prisoner, wrote to PET as he approached the end of his sentence to share his remarkable learning journey, and how education helped him to stay away from drugs. Ben is starting out on the road towards starting his own business - recycling lorry parts - after being released from prison one year ago. 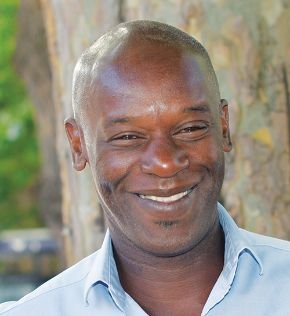 Ben, a former prisoner, was selected to act as an assessor for Unlocked Graduates, the ambitious new recruitment scheme that aims to attract university leavers to the prison system. He shares his experience of meeting aspiring prison officers, and why he believes the scheme will prove successful. Alumni Jayne, Julio and Javed tell their stories through a unique digital storytelling course with the help of the charity Stretch Digital. In our page in Inside Time, PET asked our readers to tell us about their relationships with books and reading. We also took the question to a Prison Reading Group at HMP Wandsworth. Here’s what they said. Andrew was 36 and had been locked "more than he'd be free" when he received his latest sentence. It was a failed suicide attempt that propelled him to start writing. In this first extract, we hear from Andrew as he decides to grapple to understand his past and move towards a better future. The road to graduation is a challenging one, but many ex-prisoners face significant obstacles to simply starting out. We speak to three of our learners, who hold four BAs, three MAs and one-and-a-half PhDs between them, about how a ticked box can threaten to stall an academic career before it has begun, and cause difficulties even when study is underway. Rhys found a passion for science when he went to prison, and enrolled in an Open University Access course. Now released, he is studying for a BSc in Biomedical Science with Cardiff Metropolitan University.